In the year 2027, bio-mechanical augmentations are all what is in, almost everyone has one kind of augmentation or another to make their daily lives better and to work more efficiently. The main character of the game is Adam Jenson, a private security officer for the leading company in biotechnology – Sarif Industries. Adam begins the game with what seem like everything: A lovely girlfriend names Megan Reed who is a lead researcher for Sarif Industries, a great job in doing what he seems to love, and all the security you could imagine – until one fateful day. Intruders infiltrate the company and kill almost everyone including Adam’s girlfriend, and they almost kill him too. After being severely injured from a shot to the head and being in an explosion, Adam Jenson must undergo intense augmentation to live, and thus the conspiracy begins. Who were the people that attacked the company, and how did they slip past Adam’s watch completely? What really happened to Adam’s girlfriend, Megan, since police reports cover up the facts around her death? Jenson decides that he need to find out the truth, and he proceeds to do so. The game is an action RPG played in the first person perspective. There are stealth elements to the game as well, but the interesting part is that you don’t necessarily have to play the game in the stealth fashion. The player may play the game as a run and gun, shoot first ask questions later kind of person, as a sneaky, stealth type – or as a mixture of both. What makes the biggest difference in the way you play is what you choose to upgrade. The upgrade system in the game is based on XP gained in various ways like killing enemies or hacking doors and computers. The player gains Praxis points through XP, and Praxis is used to upgrade your augmentations. Praxis can also be purchased in the game, but it is not cheap and money is not abundant throughout the game. Putting Praxis on certain augments can determine how the game is played, for example: Upgrading your legs to make you walk quieter is better for a stealthy player, while upgrading the chest to make Adam able to take more damage is better for a the run and gun type. The game has a main story, obviously, but also quiet a few side missions that can be done if the player chooses. The side missions can give you more XP, money, and/or more insight to the basic story of the game so they can be helpful to do in the long run. There are various guns available in this game ranging from sniper rifles, to shotguns, to stun guns. There are different ways to take down enemies, the player can either disable them in a non-lethal fashion by using the stun gun or getting up close and knocking them out. Enemies can also be be taken down in lethal ways by using normal guns or choosing to kill them when up close. The player may choose to do either lethal or non-lethal as the game goes on, but there are achievements/trophies connected to each style, so be aware of that. Ammo is something to save up in this game, it is a bit hard to come by unless purchased. Enemies will drop weapons and ammo can be gathered then, but it may only be 3-5 bullets from each dropped gun, so ammo must be conserved and used wisely. Choosing to be non-lethal proves useful when it comes to ammo, since not much will be used and only ammo for non-lethal weapons will need to be focused on. The visuals of the game are very nice, but not necessarily perfect. The graphics in the game are smooth from a distance but can be a little harsh up close, although the facial animations are decent and somewhat realistic. The main highlight of the game is yellow, so a lot of the hues and tones are yellow based. This may or may not make a difference to the the player unless they are adverse to the color yellow. It’s not a bright game, the lighting tends to be very dim, setting a mood. It works well for the overall tone of the game and story. The voice acting is well done, but seems to not be very diverse. There aren’t a whole lot of female characters to be interacted with on a normal basis so at times all the male voices sound similar and drab. Nevertheless, they are well done and believable for the characters. Character interactions are believable, and may even make you sympathetic to the persons cause. Being given the choice to make Adam Jenson a stone cold killer or a kind yet tough character really makes for diversity when interacting with NPCs. The game itself is not too long, but with the addition of side missions it can become much longer. The soundtrack for the game is very mood based, feeling futuristic but also edgy. The tone of the music will change when the player is in a firefight situation or just walking around on the streets, making the sound very ambient and almost relaxing at times. Since day one, I have had a hard time sticking to this game. It’s not that it was a bad game, because it’s not, I’m just not sure why I couldn’t just play it all the way through in a timely fashion. The game itself has a great story line that feels somewhat original while not be so out there. I really enjoyed the augmentations, as a futurist and being pro-augments, I felt the basics of the game hit me close to home and was something I personally enjoyed. I felt a bit more sidetracked than I usually do while doing the side-missions. Some felt like they flowed with the story while others felt like they took me away from what I liked about the game. Overall, I did enjoy playing through this game. It was worth the $20 I spent on buying it new, and if given the choice I would buy it over again. Previous Previous post: Are Games Becoming Too Real Or Not Real Enough? I hope Eidos Montreal keep making games. I loved this game. Looking back, I think it was my favorite game of 2011. It’s rare to find a prequel done by a different team that does such a good job of staying true to the tone and the universe created by the original. 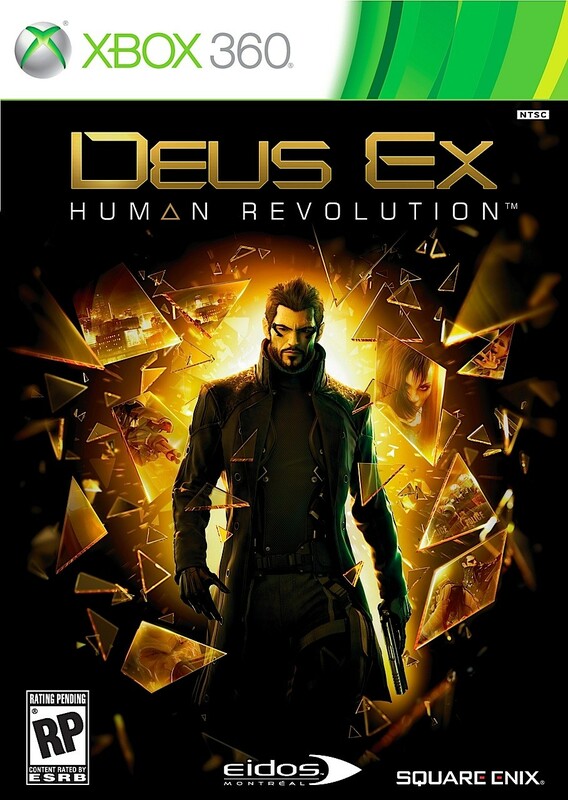 Also, PC gamers can find the entire Deus Ex series for 75% off on Steam until 6/25. That makes the entire series (all three games and DLC) $14.99. I saw that steam deal yesterday, damn that’s a good deal.